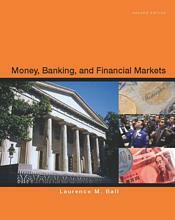 Check out preview content for Money, Banking and Financial Markets here. Working from a macro framework based on the Fed's use of interest rate as its major policy instrument, Ball presents the core concepts necessary to understand the problems affecting the stock market, and the causes of recessions and banking crises. Underlying this framework are the intellectual foundations for the Fed's inflation targeting using the dynamic consistency problem facing policymakers.